Day two of our Preparatory Seminar has been a great success which adds to our Delegation’s understanding of how China works in business. 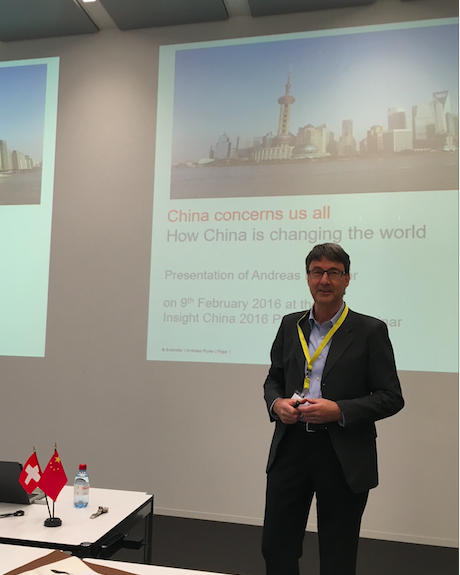 To start the day, we welcomed Mr. Andreas B. Ryser from Schindler Elevators Ltd. who worked in China for multiple years. During his speech he elaborated on the way that China is changing the business world and how everyone is impacted by those actions. Schindler, as one of the pioneering companies in terms of exporters to China, looks back on a great treasure of experiences. With China currently representing 20% of the world population, its influence on the European Union – China’s largest trading partner – is increasingly strong. This is mirrored by numerous foreign direct investments, also in Switzerland. Motivation behind these investments is primarily to acquire knowhow and to get access to innovation. 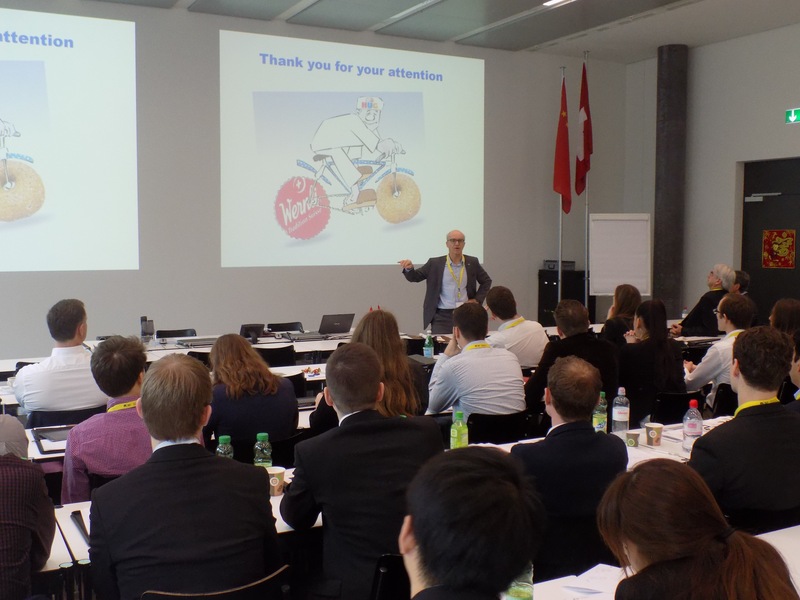 Afterwards, Mr. Werner Hug, Chairman of the HUG/Wernli AG, has joined our seminar and talked about exporting to China. While being involved in this family-owned company for decades, he has been active in exporting to China for more than 7 years. Accessing the Chinese market, producing locally in Shanghai and being able to offer sweets in China have been some of the company’s recent achievements. Especially these days, when Chinese celebrate New Year, HUG/Wernli generates major sales and has managed to launch about 6-7 biscuits for commercial sale. This means, that HUG/Wernli has overcome some critical points of producing in China, such as import and export licenses or weather conditions in Shanghai. Further, Prof. Xiankun Lu from the New Huadu Business School Switzerland has given our participants many details about Insight China’s topic “Made in China 2025”. 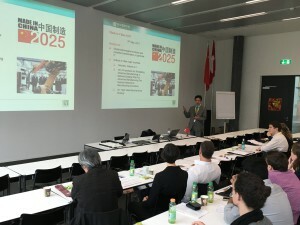 Although the topic is also rather new to the Chinese economy, he presented different examples on why China is forced to take these actions in order to transform from a rather low-tech country to a highly innovative one which provides employment for the roughly 8 million students who graduate each year from Chinese universities. However, China is dependent on the support from other countries to implement the initiative. In the afternoon, we had Mr. Patrick Roettger from Lenovo Switzerland joining. Lenovo is producing tablets, laptops, or smart watches, and Roettger has introduced us to the new innovations by Lenovo, such as the beamer function within the tablet. Further, he talked about the promising future in the development of smartphones. In addition, he mentioned that it is key to keep an open mind in order to be successful as a global company and for Lenovo, to keep its flat organization. Having a long term strategy proved to be a reward for Lenovo and stables the company even if the management changes. 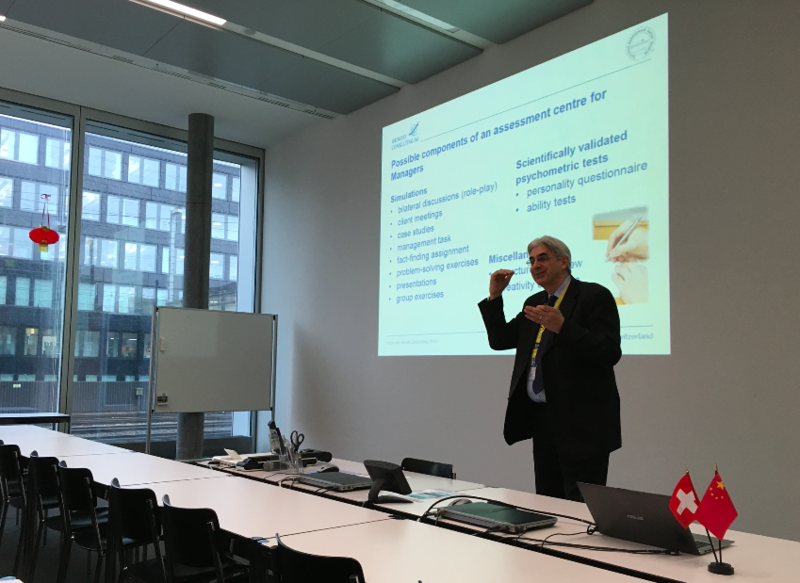 Later, Mr. Andreas Benoit, CEO of Benoit Consulting, has elaborated on the recruitment of executives in China and Switzerland and the key differences when performing assessment centers in these two countries. The assessment centers which are a combination of different tools have proven to be successful as candidates perform “real” under time and emotional pressure. Additionally, he stressed that the assessment evaluates their social competencies in at least two different situations which are then ranked on a scale from one to five. As an observer you should act neutral and without any prejudgments to offer an assessment as objective as possible in order to make an accurate evaluation. The observations gained from these assessments are always consolidated with at least two observers. 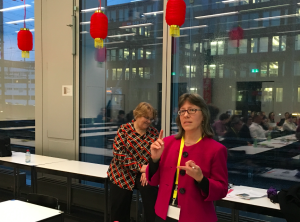 Later in the process, when candidates receive the assessment report, Benoit has observed significant differences – while Chinese are less questioning the assessment, Swiss like to get specific answers which was surprising for the audience. To close the day, Mrs. Couzette Kleynhans and Mrs. Karin Heidenreich from Novartis Ltd. joined our Preparatory Seminar and have prepared a practice-oriented workshop for our Delegation members and the course participants. While working in four groups with four different topics, the students were animated to find a suitable solution for their case. 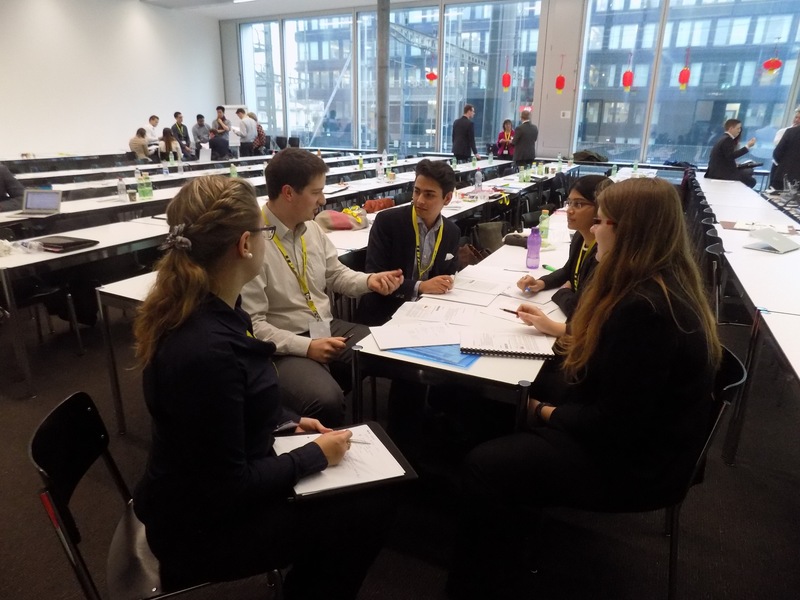 The solutions presented by the groups were positively received by the two speakers, as our participants have covered a lot of important topics that are currently discussed in the pharmaceutical industry and at Novartis. 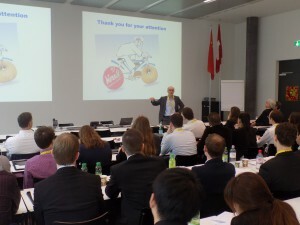 We would like to thank our speakers who have joined our Seminar today and shared their experiences connected to China!